This project includes veterinary work including animal care, vaccinations, learning and assisting in veterinary procedures and the exotic animal rescue needs, and animal welfare education.. Interns in this program will spend a minimum of two weeks learning and gaining experience under a certified veterinarian. Participate and shadow in some of the procedures, consultations, and emergency response calls for hurt or injured animals. This project aims to rehabilitate many different types of tropical species like sloths, howler monkeys, spider monkeys, toucans, and more that have been injured or illegally held captive. Here these animals receive the care they need in order to survive on their own in the wild or lifetime care if needed. The majority of the animals are being rehabilitated or nursed to health in order to be released back into their natural habitats. Beginner to intermediate knowledge of Spanish is preferred (but not mandatory). If a Participants cannot speak Spanish, we suggest that he or she enrolls in our Spanish language program. Intern should have some studies, experience, or interest in the field. There are no specific qualifications needed to join this project in Costa Rica. Participants in this project will be expected to be open minded, patient, caring, and self-starters (able to recognize what needs to be done or who needs to be helped). Participants help with the rehabilitation and will give general care for the animals in the shelter. 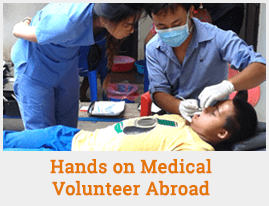 Participants are expected to maintain a professional attitude and help with whatever task (cleaning, feeding, playing, walking, giving medications, etc..) as needed.